So you have suddenly decided that your small bathroom needs some sprucing up. If you’re low on financial resources at this time, you don’t have to worry — there are several small bathroom renovations that are light on the pocket. But before looking for a contractor, check out the five things you need to know prior to a bathroom renovation. Additionally, if you love watching TV, the show “The High Low Project” showcases several low-cost bathrooms and other kinds of renovations for your home — Sabrina Soto never fails to educate her viewers. According to Remodelling Magazine’s 2016 Cost vs Value report, the cost of a midrange bathroom renovation would be around $17,908 while an upscale remodeling would cost you a whopping $57,411. 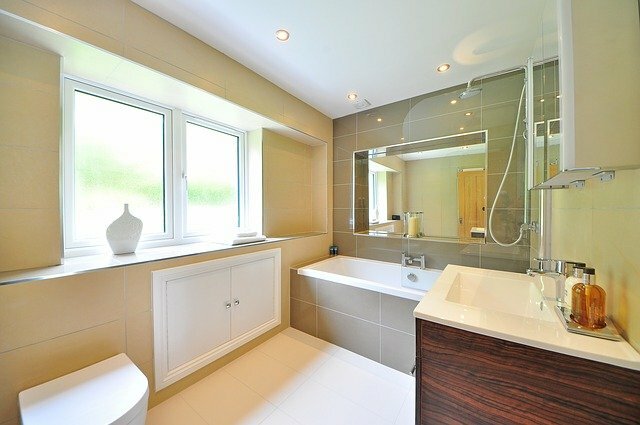 Any kind of bathroom renovation always adds value to your home. The estimated ROI of a small bathroom renovation is around 50%-60% of your investment. Take note that these renovation costs assume that you’ll be replacing some major fixtures – your tub, sink, perhaps re-tiling the entire flooring, extending your bathroom and even changing the bathroom layout. We suggest that you use our bathroom estimator tool to have a more accurate estimation and plan your budget for bathroom renovation accordingly. The tool analyzes your remodel needs and the different costs related to your renovation based on your area zipcode. Paint is usually the most cost-effective small bathroom renovations on a budget that can create a noticeable change. A layer of fresh paint and a new color palette can do wonders in making space look bigger too. Some bathrooms may have been really dark to start with, you can go for neutrals or lighter shades if you want to lighten up space and make a small area look bigger. Or you may choose to paint your bathroom in monochromatic earth tones or even contrasting colors. If you have existing tile floors you may match the upper portion of your walls with the design/style of your tiles. You may also use tiles as borders to break the monotony and add some focal point or accent to your wall. There are plenty of mold resistant paint colors that are specifically made for bathrooms. You may embark on a DIY project that would require just a few tools available at your nearby Home Depot or hire a professional to do the job. Refurbishing or replacing your bathroom’s original fixtures will usually create a more modern vibe. Old faucets, shower heads, and lightings now come in a variety of interesting and modern designs, which you can all match to create a specific look. 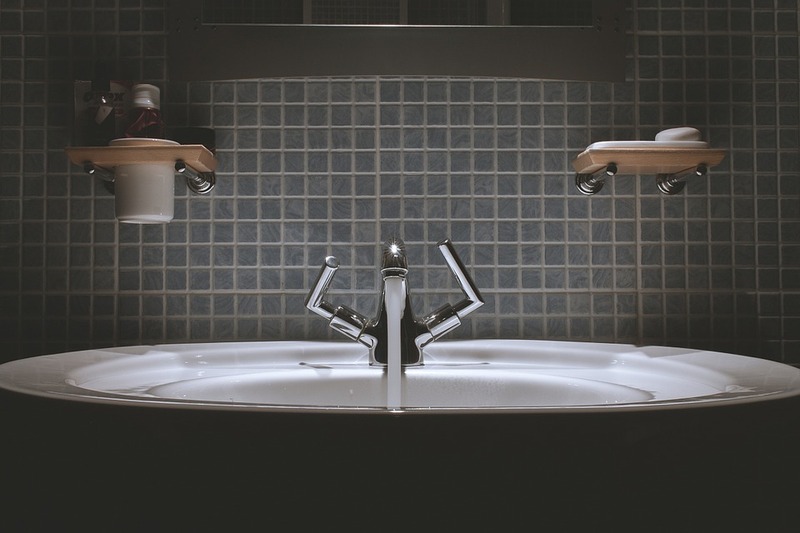 For small bathroom renovations on a budget, some fixtures available today are even designed to be eco-friendly (promoting conservation of water and electricity) which in turn translates into cash savings. If your budget permits, you can replace your existing sink with a pedestal type sink to save space. There are smaller toilet seats and tubs available too! It’s a budget-friendly (and a good) idea to increase natural or artificial lighting to make your small bathroom look bigger. Truth be told, dark bathrooms create a gloomy or even creepy atmosphere. If you have a window that is small, check if making it bigger will be within your means — aside from letting in more natural light, you also get better ventilation. Old light fixtures can be replaced with modern stylish ones available today. Consider placing a small chandelier at the center of the bathroom instead of the regular lighting fixtures to add more character to your bathroom. Use light bulbs that are energy efficient but still provide the same or better lighting that you require. Worn-out tiles look messy and dirty. It’s true that tiles wear down over time and may need to be replaced but make sure to look for the right contractor for the job. You can install tiles around bath areas, from the floor up to half the walls and paint the rest of the wall up to the ceiling. Another option would be, as stated earlier, to use tiles as decorative borders to accent or provide an interesting break on a two-toned wall. If you have existing tiles that are still worth saving, DIY kits for cleaning surface dirt and old grout are available to make them look like new. But if you really need to replace them, you can find great deals online or visit nearby dealers to actually see what the latest trends are or what’s selling for a discount. Remember that remodeling or renovating your bathroom does not need to cost a fortune. All it takes is some creativity, research, resourcefulness, and some time to devote to the renovation project. Make sure to keep all bathroom renovation costs within your budget for a smooth renovation project and a beautiful outcome. Enjoy renovating your small bathroom! Find The Right Pro For You. Take a look at a professional’s permit history and references near you. Billy was born in France, and has lived in multiple cities around the world ever since. He loves art, design and architecture and he supports the KUKUN team as a content provider.